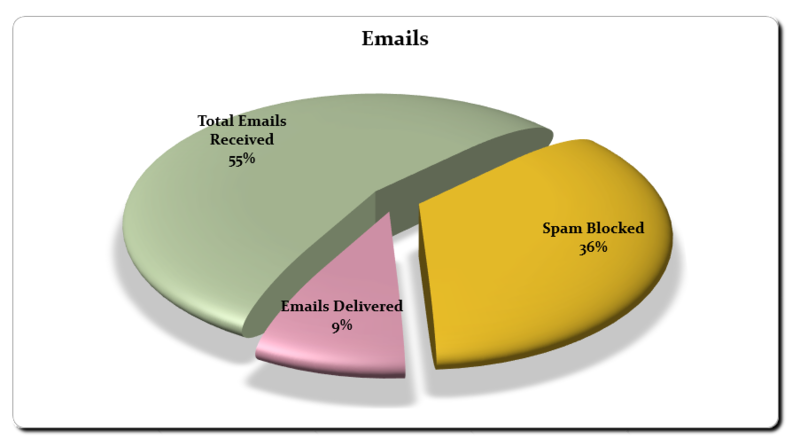 Over the past few weeks there has been a large increase is SPAM. We all hate spam and any amount of it is bad and just causes loss of time let alone the annoyance of it all. Apexhost has been filtering out emails and I thought we would put this up just to let you see what we are doing about it. Our spam servers have been flat out. The pie chart shows the results. Here is the numbers for this year so far.